The formula of Precision Ink is watery, but not too much so (so basically a good consistency). I do recommend doing a couple of strokes on the back of your hand to remove excess if you have an unsteady hand as it will help to avoid messy mishaps. 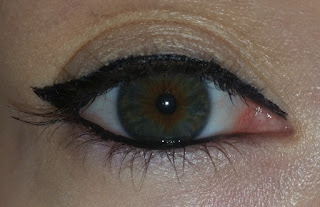 If you're a total eyeliner pro, I'm sure that you will be masterful with this too regardless of the consistency. The brush itself is easy to work with, so even eyeliner beginners could achieve great results with it. I personally have either a shaky hand or a shaky eyelid kinda thing going on so my lines are never perfect (anyone else? Just me? 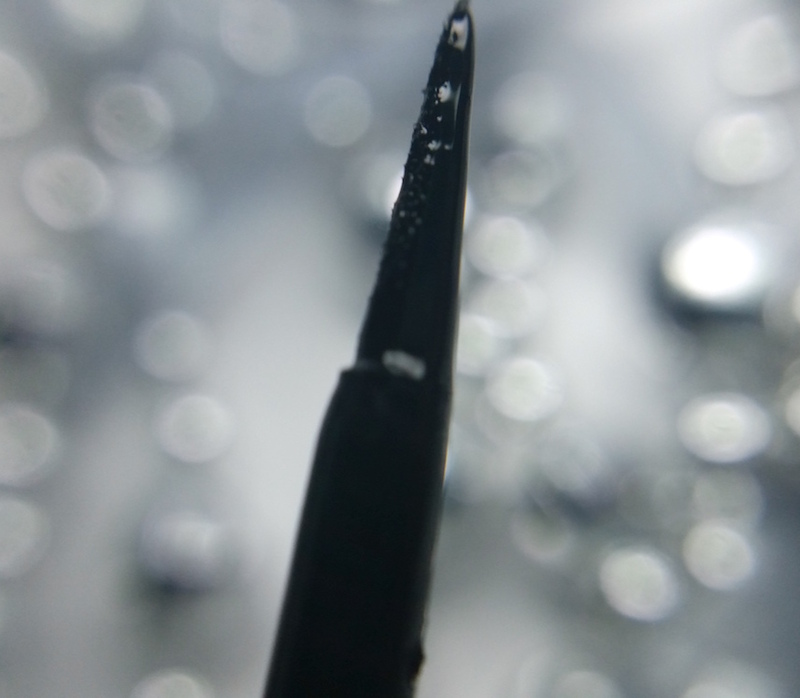 ), but I did feel that I had good control with this brush during application. If you're the same, try a couple of practice strokes on the back of your hand before going in on your eyes if you feel unsure. Instantly, you notice that the pigmentation of Precision Ink is fantastic. You can get away with one stroke and have fab opacity without needing to go over your lines multiple times. This is particularly great for winged eyeliner. The brush tip is ultra fine, so therefore is the perfect shape to create either really thin lines as well as thicker ones. Once it has dried it does have a faint glossiness. I wouldn't say it was the glossiest finish, but it isn't matte either. It takes a short while to dry, but once it does, it doesn't smudge. You'd need to give it a good rub to wipe it away. I tried it on the back of my hand with a bit of water on it too and it still didn't budge unless I really scrubbed at it (more on proper removal in a moment). What I love most about this eyeliner though is the longevity. This stuff takes a long time before it budges, and that is fantastic. No smudging, no fading, no flaking. Nada. Even for those of you with oily eyelids, this stuff stays put. Hurrah! Whilst it probably won't last as long as it likely would on those who don't have oily eyelids, will it last through the entire day? Yes. Yes it will, and that's great. In regards to removal, you will probably be best with an oil based makeup remover. I do have success though with my favourite method of makeup removal along with the Philosphpy Purity Cleanser to remove it all easily and effectively. 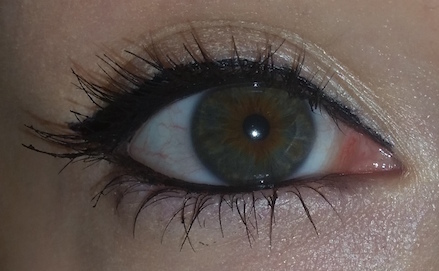 Would I recommend this eyeliner? 100%. I've really been enjoying it and I think that it is a top quality product that is worth its price point. 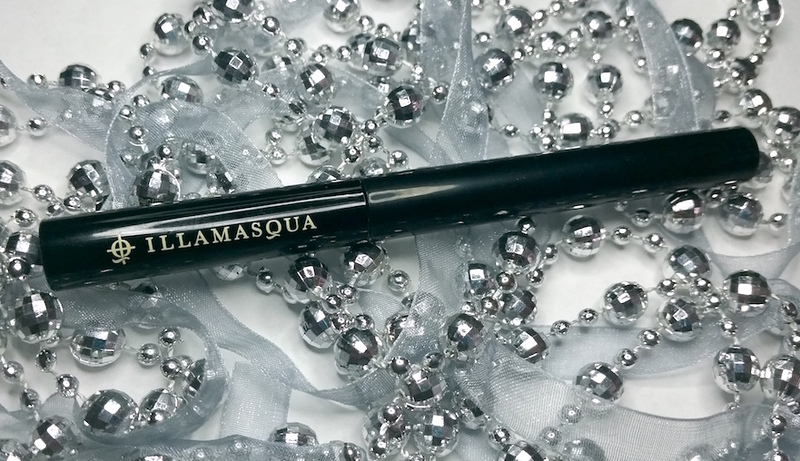 If you are an eyeliner fan, this one is well worth checking out. 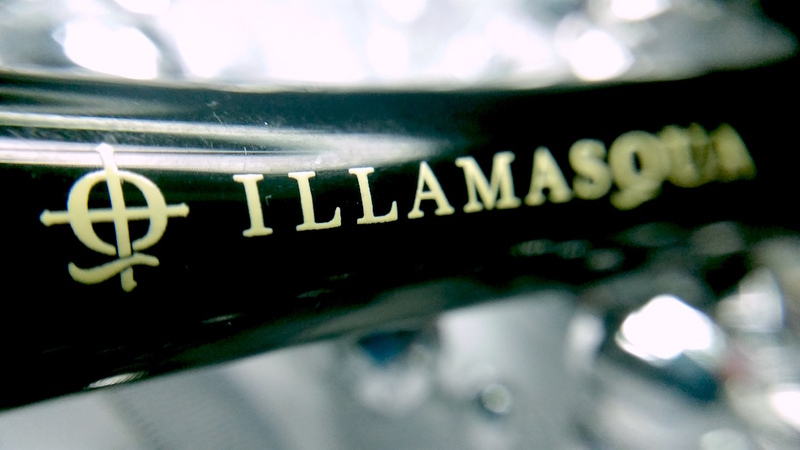 You can purchase the Illamasqua Precison Ink Eyeliner from Illamasqua. 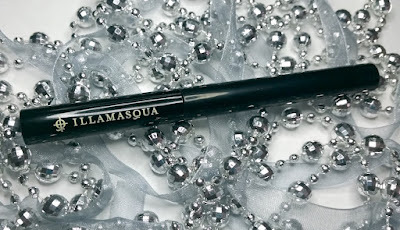 What are your thoughts on Illamasqua's Precision Ink Eyeliner? What is your favourite liquid eyeliner?